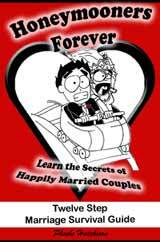 Honeymooners Forever, Twelve Step Marriage Survival Guide is the perfect gift for men. Why? Well, so often men do not understand women, and women don't understand men. This book talks to the male reader in a simple way, yet clearly defines what women expect and want from the relationship. Suffice to say, by giving Honeymooners Forever to your husband, boyfriend, boss, neighbor, fiancee, nephew, father or any man, you are giving him a chance to become more romantic, communicate better and feel more secure in his relationship. Men want to fix things. This book will give men the tools they need to improve (adn fix) their relationship right now. Honeymooners Forever, Twelve Step Marriage Survival Guide is the perfect gift for women of any age. Young ladies in thier twenties need this information, which women in thier fourties may have forgotten. What woman doesn't want to be treated like a prince by her partner? By giving this book to your wife, girlfriend, female workmate, neighbor, best friend, choir buddy or Mother, you are giving them the chance of a heightened romantic experience, with more love and less resentment. This book makes a perfect gift because the recipient will become happier, by appreciating herself and her partner more. Give the gift of love and happiness. Have any questions for the author? Simply e-mail Phoebe. She will be happy to hear from you. Not only do I know what it's like to live the nightmare of "being in a bad marriage", I searched, and found a workable solution which turned my relationship around, and back to love. I am thrilled that we still feel like honeymooners, even after over a decade of using these steps! Now that I've put these steps into a book, you can live like honeymooners to. The steps in my book can help you avoid, or work through, huge marital problems, ensuring you a better chance of remaining happily married forever. 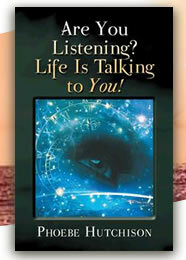 You will be able to easily follow the 12 simple steps that work like magic. I write straight from the heart. This book is not complicated. You can easily flick to the problem area for solutions, without being bombarded with complex theories. Copyright 2007-2008 Rekindle Publishing. All Rights Reserved.